Evelyn Wood began her career as a counselor for girls at a high school in Salt Lake City. As it happened, none of the youngsters she was trying to help could read well, and good reading seemed the key to getting them back on track in their studies. 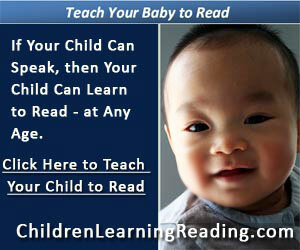 So Evelyn established a remedial reading program. That program was quite successful, but she wanted to do more. She was especially interested in finding ways that students could read beyond what many experts then regarded as the outer limit of reading speed, 1,000 words per minute. But first, she needed some proof that high-speed reading really was possible. The evidence came unexpectedly from one of her professors, Dr. C. Lowell Lees, the chairman of the speech department at the University of Utah. Evelyn turned in an eighty-page term paper to Dr. Lees, expecting him to read it at home and return it to her later, as most professors did. Instead, he took the paper from Evelyn and began reading it right there. He went through the entire paper in under ten minutes, graded it and handed it back to her as she sat watching in total amazement. Furthermore, he had really read the material. She found in their ensuing conversation that he was completely familiar with the content, the arguments and the flaws in her work. How fast had Dr. Lees read the paper? By Evelyn's calculations, he had moved through it at about 2,500 words per minute. Evelyn now had living proof that the printed word could be read at high speeds, well beyond the generally assumed 1,000 words per minute. But how did Dr. Lees do it? She couldn't figure out his technique, if he had one, even after observing him closely and questioning him. As she delved further into this subject, however, she became even more convinced that this extraordinary reading rate could be learned and taught. She discovered accounts of Teddy Roosevelt, for example, who was said to read up to three books a day during his presidency. The nineteenth-century British utilitarian philosopher John Stuart Mill was reported to have been able to read as fast as he could turn the pages of a book. According to one report, Mill had begun reading extensively as a preschooler. Through his formative years, his father, a college professor, would give him a book and tell him to go into another room for a short time and read it. Mr. Mill would then call John back to discuss what he had read. Obviously, there was tremendous pressure on young John to concentrate and move quickly through the assigned material. By this "on-the-job training," he soon developed into a highly skilled, extremely fast reader. But even after investigating these and other reputed speed readers, Evelyn still couldn't come up with a technique that could be taught to slow readers. Was high-speed reading and learning an unteachable skill that only a few naturally adept individuals could master? Next, Evelyn Wood launched a search for the fastest readers alive. She eventually found fifty-three people who could read from 1,500 to 6,000 words per minute. But even after interviewing them and observing them closely, she couldn't identify a common technique. To be sure, all their eyes moved quickly, and they traveled in one dominant direction, vertically down the page. But how did they do it? she asked, increasingly frustrated. One fall day in 1958 she sat by the side of a brook reading Green Mansions, by W. H. Hudson. She was reading fairly quickly, but at nothing near the speeds of the best readers she had observed and read about. Finally, in utter frustration, she threw the book across the water and just sat there, thoroughly annoyed and stymied. A short time later, realizing that this mood wasn't getting her anywhere, she waded through the water, retrieved the book and headed back toward the cabin where she was spending her holiday. That evening, she picked up Green Mansions again and was able to enter the mood of the story more easily. Some dirt remained on the pages from the rough treatment she had given the volume earlier, and as she read she started brushing the dirt away with the side of her hand. Suddenly, she was moving through the pages at high speed, as her eyes followed her hand's natural, relaxed brushing movements. Before she knew it, she had read more than 50,000 words in less than ten minutes—or a rate of nearly 5,000 words per minute! From this experience was born the basic Evelyn Wood method of reading at high speeds by using the hand as a pacer. Over the next two years, Evelyn fine-tuned her technique in a speech and reading course she taught at the University of Utah. In 1959 she established the first Evelyn Wood Reading Dynamics Institute in Washington, D.C., and the rest is history. Obviously, what I call Mental Soaring has been around for a long time. Also, small numbers of people in recent generations have discovered the high-speed approach on their own. But it was only in 1959 that the techniques became available to the public through the Wood courses, and now, we're taking the next step: bringing all the specifics of that program to you through this book. STOP READING NOW and look at your watch. Record the precise time. 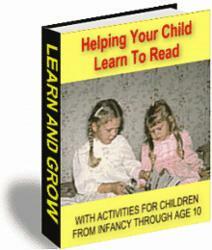 Then, using the method described on page 16, calculate your reading speed. Assume that you've read 2,450 words. 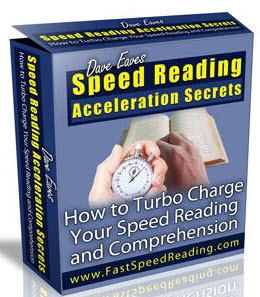 My guess would be that you've improved your reading speed significantly. In any case, keep reading and learning, and your pace will continue to quicken. In this chapter, you've begun to get off the ground in your reading. You're in the air and probably moving at faster speeds than you ever dreamed possible. But another barrier, the 900-word-per-minute limit, remains to be broken. Let's get started on that goal next. h The maximum speed for subvocal linear reading is about 800-900 words per minute. 2. Subvocal linear reading can best be used for poetry, dense textbook material, double-checking, jokes, and dialogue. a. Be sure you can see the page. b. Select a quiet, comfortable environment. c. Break in your book. d. Become an active page-turner. e. For the best subvocal linear reading, use the underlining hand motion. f. Don't regress as you read.